JPEG is recognized and widely used by so many available imaging software such as Paint Shop Pro, Photoshop, and Corel. Anyone owning a digital camera can easily take, edit, store and post up their JPEGs on the Internet. While the JPEG files are not supported by video players. JPEG is the standard format for images and for digital picture photos. When people use JPEG, they usually refer to the JPEG File Interchange Format (JFIF) that defines the way to produce an appropriate file for computer storage and transmission using a JPEG stream. If someone would like to create a slide show using JPEG images, he needs to convert his JPEGs into a video file format firstly. Usually, MP4 will take as a priority because it can be compatible with almost all video players; so if users want to enjoy JPEG files on video player, users should convert the JPEG file to the format that compatible with the player device. We will offer two ways on how to convert JPEG to MP4/MPEG in the following essay. For most converter, users can directly convert JPEG to mp4, so mpeg format will be as an optional format. Leawo Video Converter is one of best tool for converting any format to your desired format. Its excellent features and capabilities make conversion much easier. 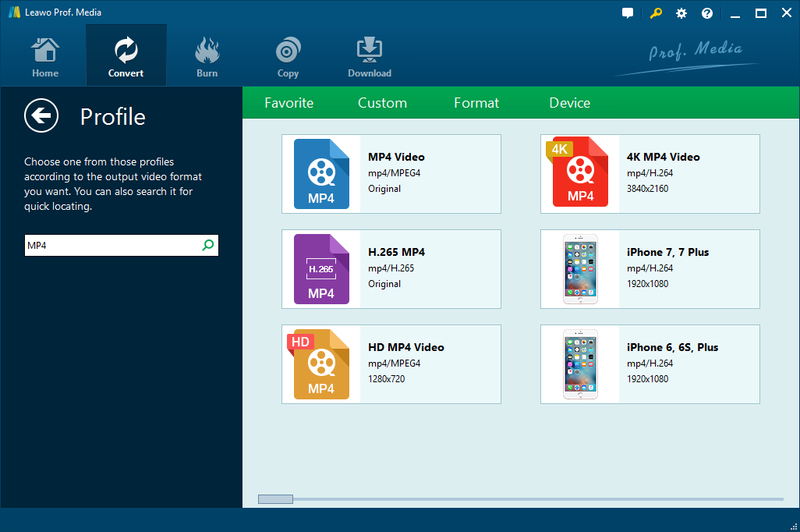 It is about 90 times faster than any other video converter online, which make most files compatible with all devices with faster speed and original quality. Differ from the free converter and a part of paid converter, Leawo Video Converter able to create 2D to 3D files, do much editing to enhance the video visual effect. The Converter makes conversion process easy with a nice, fluid drag and drop feature and users can stack up videos to be converted quickly, leaving users time to get on with other things. Leawo videos converter becomes compatible well with quite a lot of devices, such as mobile phone, tablets, PCs, websites, etc. For most converter, it is not possible to convert a JPEG straight into MPEG. While Leawo Video Converter is also capable of converting JPEG files into different formats. With the high speed and the excellent performance, you can expect nothing but great results. After the downloading and installation is finished, click the program and upload the file to convert. Tap on “Convert” button in homepage，alternatively，select “Video Converter” in the bottom right pane to starting conversion. Tap on “Add photo” button on the menu bar of homepage to add JPEG files or directly drag and drop photos into the window. You could add single photo files or photo folder as you like. Open the drop-down box right before the big green “Convert” button. Enter and then click “Change” to enter “Profile” panel, select the profile according to the output format you want. Using the search bar to find any desired profile is highly recommended that make users can find the format they want at faster speed. Or tap on “Convert” button directly to change. Click on “Convert” button on main interface. On the popup sidebar, set a directory to save the output photo slideshow files in the “Save to” box. Then click the bottom “Convert” button on the sidebar to start to convert. After several minutes, your video will be converted to the format you want. You can enjoy it freely or play it at apple device that you want to play. Usually, users can’t convert JPEG to MP4 directly. To do this, one has to first convert JPEG into MPEG. This is the easiest and most effective method of conversion for picture files to video format. 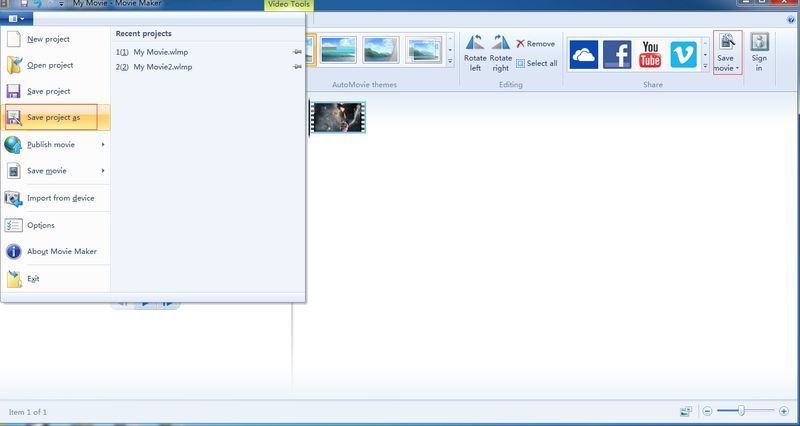 Now, we will give another guide on convert your JPEG to MPEG by Windows Movie Maker. Windows Movie Maker is an easy-to-use & powerful video creating/editing software application, designed for latest Windows7, Windows 8, Windows 10, enable to import photos and videos from PC or camera into Movie Maker to start making movies. Go to the website download Movie Maker and click the “Download” icon to download the program. Click the “Home” tab and then add files by clicking “Add videos and photos” button. Double-click a JPEG to load it into Movie Maker and then load the remaining JPEGs in the same way. Step 3: Ready to Convert. Click the “Movie Maker” tab and then click the “Save Movie” item in pop-up box to set output directory for saving the movie to your PC. Click the “Type” control to walk a list of file types and then click the “MPEG” item. Type a name for the MPEG in the “File name” text box and then click the “Save” button. 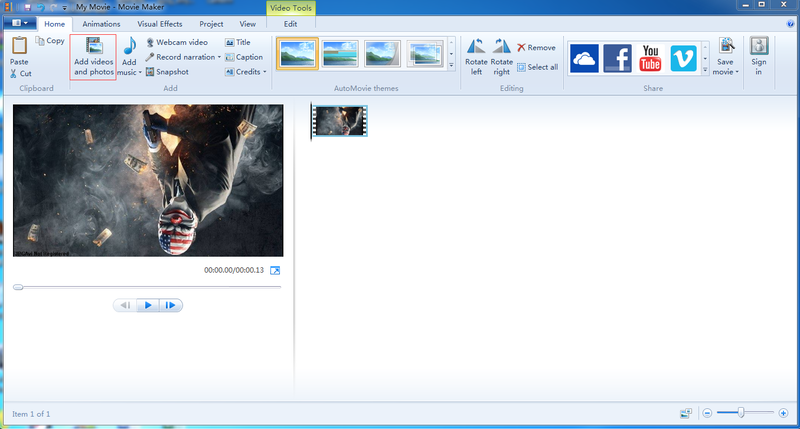 Movie Maker displays a progress bar as it assembles the MPEG from your JPEGs. Here are two ways on convert JPEG to video formats. Leawo video converter is a professional converter for converting any format to your desired, while Windows Movie Maker is defined as movie maker and specialized in movie maker. In addition, Windows Movie Maker is not compatibility with apple system that unsupported by apple products. Compared with Windows Movie Maker, Leawo video converter is all-in-one converter that have a good compatibility with most device with easy-operating interface, its operating system is very clear for most users, amateur can convert their files with several steps and get fast speed and original quality for the professional, and it is without doubt a better option.